Member engagement is key to a successful union and we want all members of SEIU Local 721 to feel welcome. To help foster a culture of inclusion, we host an array of Caucuses and Committees. They improve communication and understanding between various cultures and socioeconomic groups, which solidifies our union’s cohesiveness and increases our strength. Together, we win! Mission: The 721 Retirees Committee works across generations to ensure that of all our members’ retirement and benefit plans are safe and sound. At our monthly meetings, we hear from speakers who provide information of concerned to retired members – then we strategize on next steps our union can take to ensure retirement security for all. Mission: The African American Caucus is committed to enhancing education, training, mentorship, leadership development and networking opportunities for SEIU Local 721 members and staff of African descent. Mission: The mission of SEIU 721 ADA Caucus is to increase participation among the diverse membership within each region by addressing social economic justice issues, developing leadership, promoting respect, improving communication, fostering understanding and creating a culture of inclusion to strengthen our union thereby uniting and improving the lives of the working men and women of SEIU 721. The ADA Caucus is committed to serve union members with disabilities and their families through education and outreach to increase visibility and improve the working lives of union members. Our goal is to provide a forum to address the concerns of people with disabilities. We advocate for implementation of the Civil Rights Act of 1964 – particularly Title VII – as well as the Americans with Disabilities Act of 1990 to the fullest extent of the law, in both letter and spirit. Mission: The Armenian Caucus is committed to organizing, educating and developing leadership among the Armenian members of SEIU Local 721 as well as the Armenian community at large. Location: Our meeting locations vary. Please contact Shoushan Baghboudarian at (213) 368-8685 for information on upcoming meetings. Mission: The Asian Pacific Islander Caucus collaborates with community organizations to address social, economic, housing, health and working condition issues. We also nurture emerging activists and leaders both within the labor movements and among the broader community. Mission: COPE is a voluntary, bipartisan Political Action Committee for political and legislative activities at SEIU Local 721. Through COPE, we hold elected officials accountable to working families. COPE also makes it possible for our union to build the political power necessary to win strong contracts and to pass laws protecting both our jobs and the services we provide. Meetings: 6 PM on the third Thursday of every month. Mission: The Filipino Caucus is committed to advancing organizing, educating and leadership opportunities among the Filipino members of SEIU Local 721. Our goal is to provide a forum to address the concerns of Filipino members of our union. Mission: The Latino Caucus is committed to organizing, educating and developing the Latino people in order to achieve power, respect and social justice for the working class. Mission: The Lavender Caucus is committed to serving the lesbian, gay, bisexual, transgender and queer/questioning (LGBTQ) members of SEIU Local 721 – and their families – by increasing our visibility and by improving the working lives of our community through education and outreach. Mission: The Native American Caucus is committed to educating everyone by sharing the experiences, cultures and practices of indigenous people. 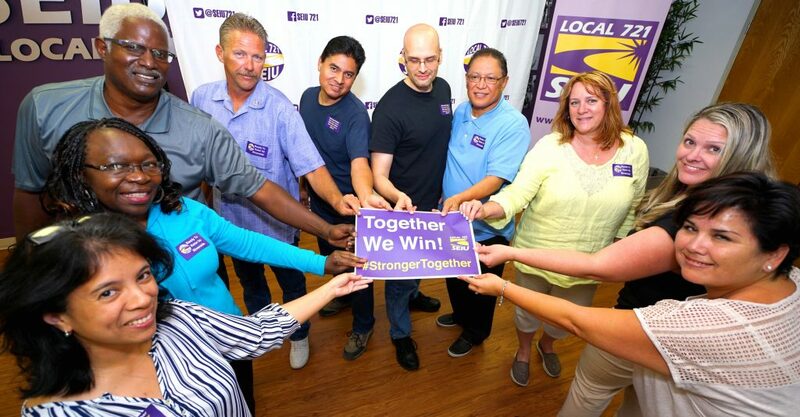 Utilizing a conciliatory perspective, we increase participation regionally among the diverse SEIU Local 721 membership by addressing social, economic and justice issues – and by developing leadership, promoting respect, improving communication, fostering understanding and creating a culture of inclusion. Mission: The Social and Economic Justice Caucus supports the diversity of SEIU Local 721 by promoting unionism, inclusiveness, empowerment, self-determination, human rights, civil rights and a collective voice that encourages unity and leadership in the community and at the workplace. Mission: The Veterans Caucus is committed to strong advocacy for Veterans of the Armed Forces who are members of SEIU Local 721 – and we promote a culture that both values and supports Veterans of all eras, branches and components. The Veterans Caucus focuses on developing a forum for Veterans issues and concerns both within our union and among the community of Veterans at large. Mission: The Women’s Caucus provides a forum for union women’s issues. We promote equal treatment, leadership opportunities and mentorship – and we offer support and resources to endeavors and initiatives that improve working conditions for women.